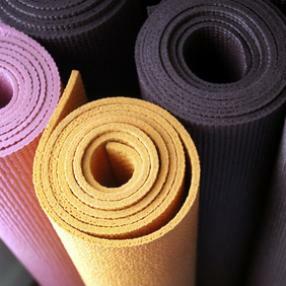 A unique blend of Yoga disciplines tailored to the individual. 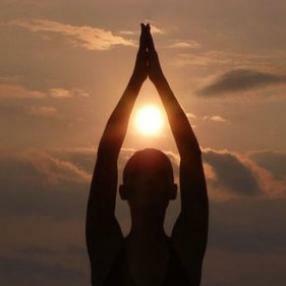 Strength, flexibility, mental focus, and inner peace are cultivated. A beautiful little studio with breathtaking views of downtown skyline. An all levels class focusing on breathe, asana alignment and balance. Flow, alignment and movement with the breathe. Slower paced flow yoga moving dynamically with the breath in a supported way. Gentle yet enough to build some strength and flexibility balancing out with relaxation. All levels welcome. Fun and light Music will be introduced. Performing the yoga poses using ropes helps strengthen the major organs of action, the legs and the arms. The ropes helps the body to extend vertically and horizontally. Vladimir will guide you through a rope sequence that will open the body organically, leading to an open heart, better breathing and a quiet mind. The classes will be active and fun. It was first developed by the BKS Iyengar, who used it as a prop to support and intensify his asana practice. The ropes work by using gravity as a natural form of resistance, causing the body to open much further than it would in a regular yoga practice. 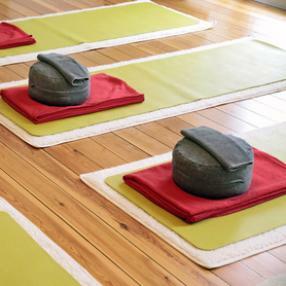 alignment based class ideal for beginners or advanced students looking to deepen their practice. Builds flexibility and strength. This is for intermediate and advanced Asana students. You will be challenged in strength, stamina and flexibility. In addition to doing challenging flow sequences we will work on back bends, arm balances and inversions. Bring a towel. You will be challenged by basic yoga poses (Asana) to build strength and flexibility; preparing you for arm balances, backbends and inversions. Modifications are always offered. Intro to breath work (pranayama) and Yogic Philosophy. The basic poses can be quite challenging so all levels are welcome to participate. Based on Bikram's 26 set posture class, Hot Power Fusion is heated to 104 degrees with a 30-40% humidity. We connect breath to movement as we flow though the sequence. A slow, deep stretch class to wind down the evening. The first portion of the class includes Yin yoga style postures to gently release tension in muscles, joints and fascia-tissue. Once the body is in a more relaxed state of being, large Tibetan singing bowls are gonged on various parts of the body. Some classes will include ancient, healing mantras in Sanskrit as well. The result is greater flexibility, stress reduction and deeper relaxation. This5,000-year-old system of yogic exercises and meditation that is designed to give you a “hands on” experience of your highest consciousness. Kundalini yoga is based on kriyas, or specially formulated sets of exercises that strengthen the nervous system and balance the glandular system for optimum physical and emotional health. It is very precise. It also deeply incorporates breathing techniques (pranayam) which help in processing emotions and feelings, relieving stress, toxins, and developing concentration. Finally, mantra (sound, or Naad Yoga) and meditation techniques are also integrated which work to direct and discipline the mind. The practice of this yoga offers powerful tools for developing one’s own higher consciousness and increasing wellbeing, vitality, and connectedness to life. Slow moving, long holds to open up the body and increase range of motion. The yin practice aims to make space in the joints so they move smoothly and easily through their entire range of motion.